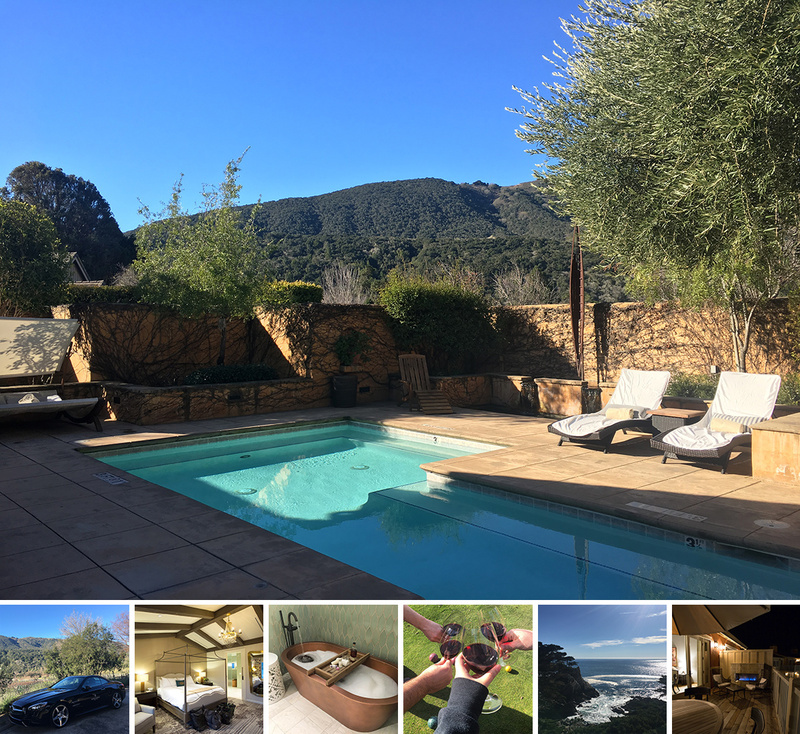 Just back from a quick trip up the coast to meet friends and try out the new Villas & Suites at Bernardus Lodge & Spa in Carmel Valley! 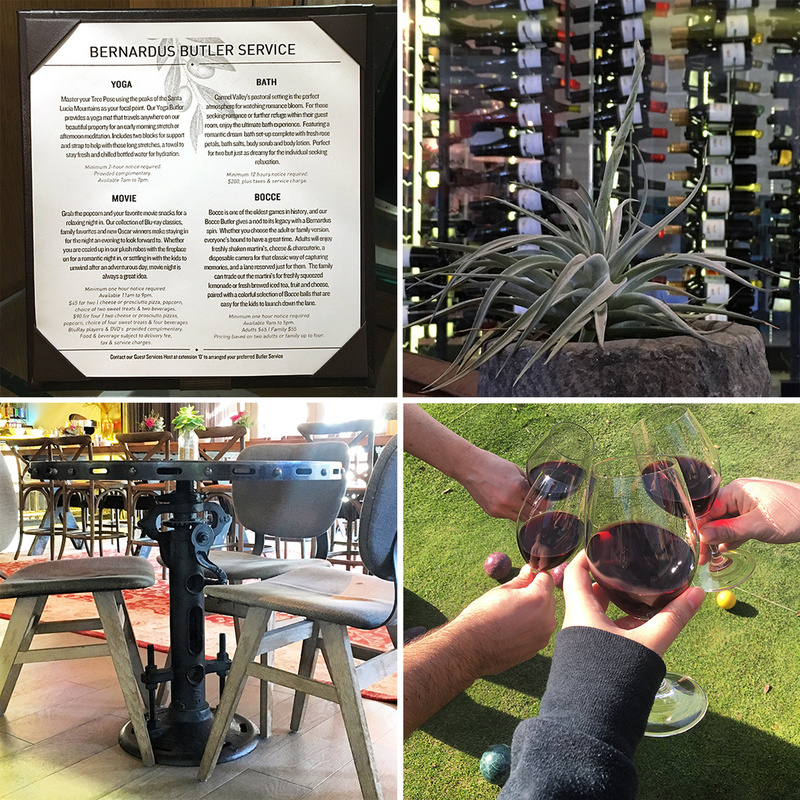 Between the various (much needed) rain storms, we got a lovely sunny weekend to drive up California, explore Carmel/Big Sur, and most importantly, relax, catch up, and indulge in delicious wine, spa pampering, and silly leisurely activities like bocce and croquet! 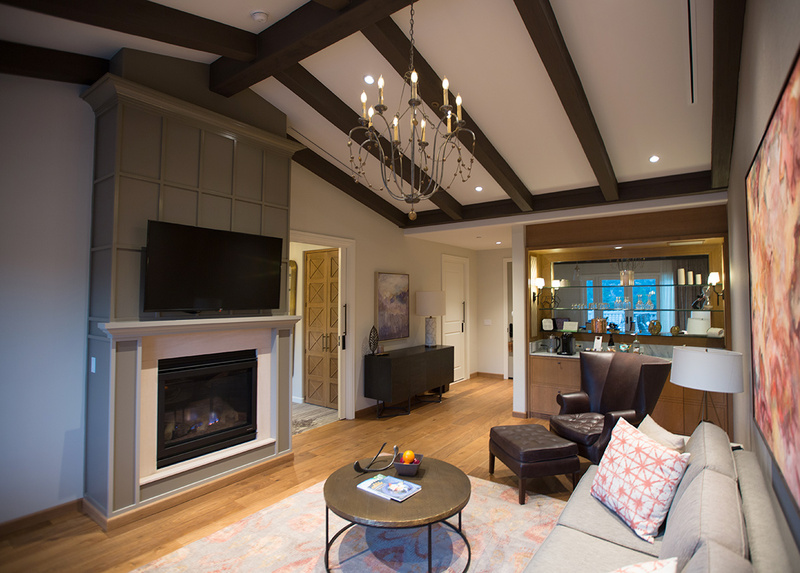 Also - between the 3 fire places in each suite and fire pits to curl up by throughout the property, even the chilliest nights were cozy. 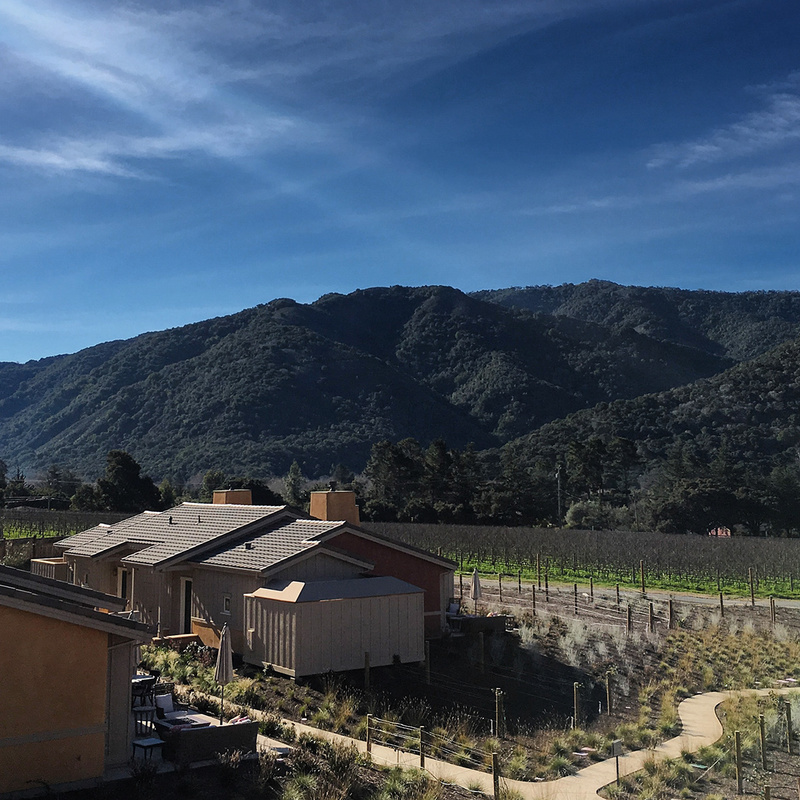 Tucked into Carmel Valley between vineyards and golf courses, you’re about 20 minutes into the adorable Carmel By The Sea. 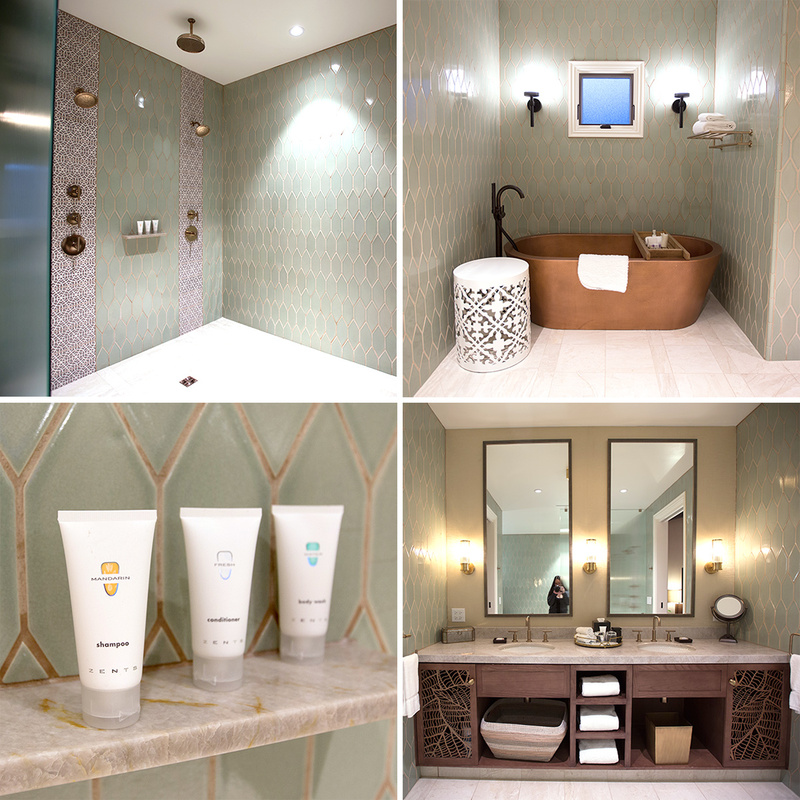 I’ve been torn trying to decide what to share with you, but overall, there were so many lovely details (the bathroom! 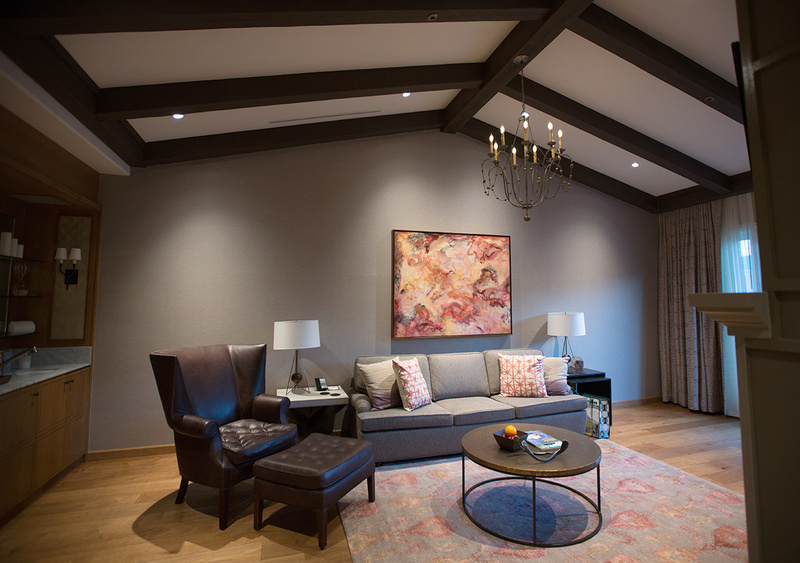 the fireplaces! the views! the stars!) - here’s a look at my favorite parts. 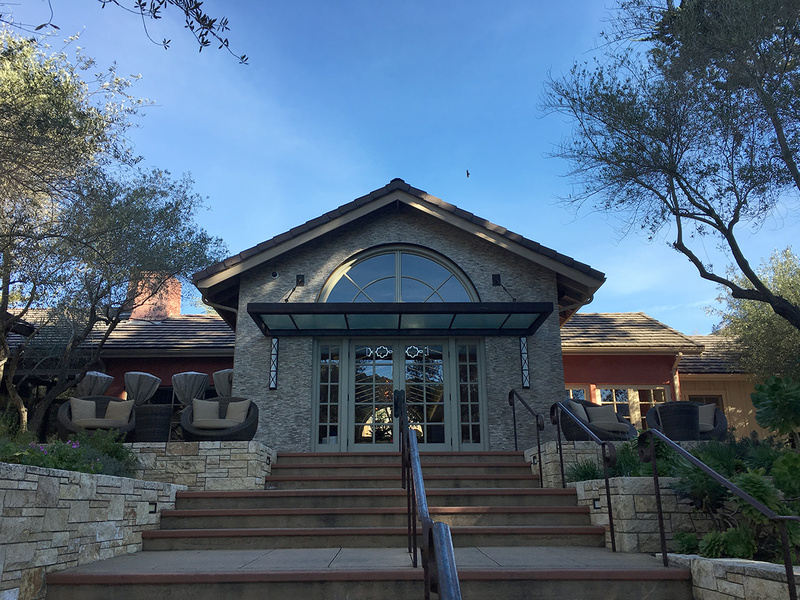 As for whether i’d recommend the Bernardus Lodge & Spa - i’m not sure, we did have a bunch of strange moments that stuck in my head, but fill you in on a few of those later. For now - take in the sights on the next page! 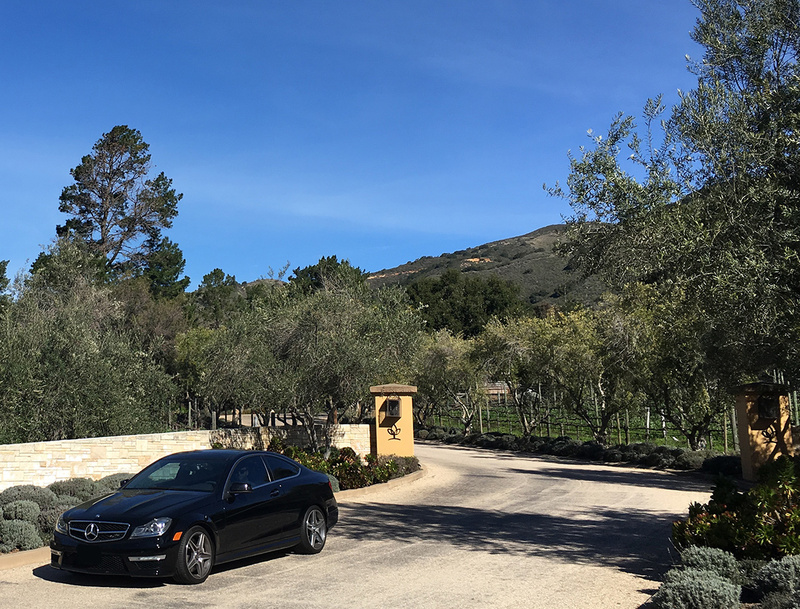 You enter the Bernardus Lodge & Spa through the vineyards! Pulling up to the main entrance and restaurant. 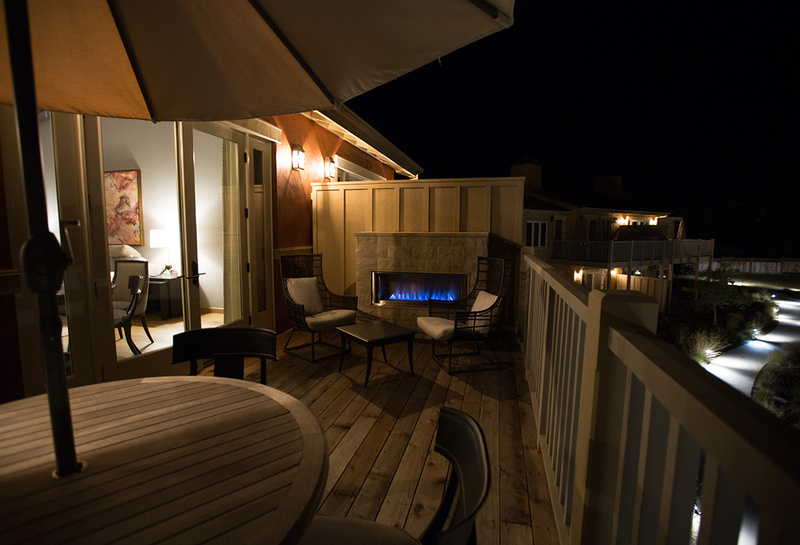 We got neighboring Valley Villa Suites (each building has two valley villa suites upstairs, and two vineyard villa suites below) - each with an incredible spacious living/dining room, patio, master bedroom, HUGE bathroom, and another bathroom for guests too. 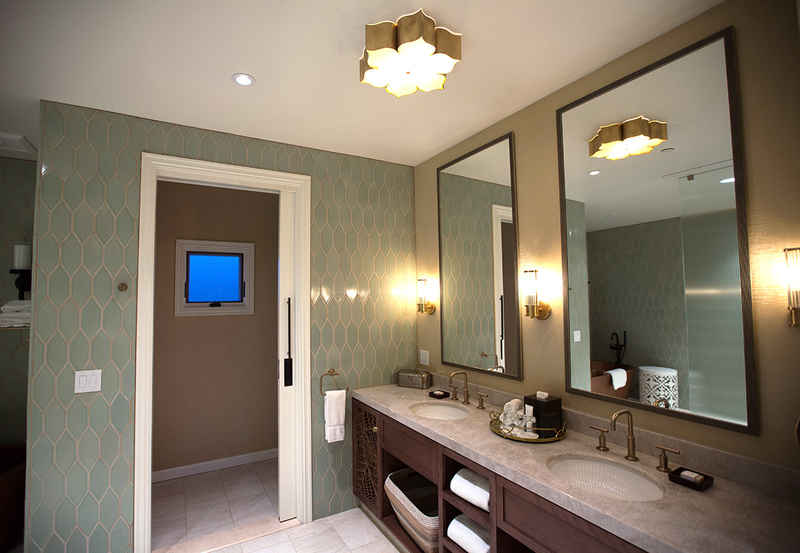 This bathroom! Nearly as large as the bedroom itself. 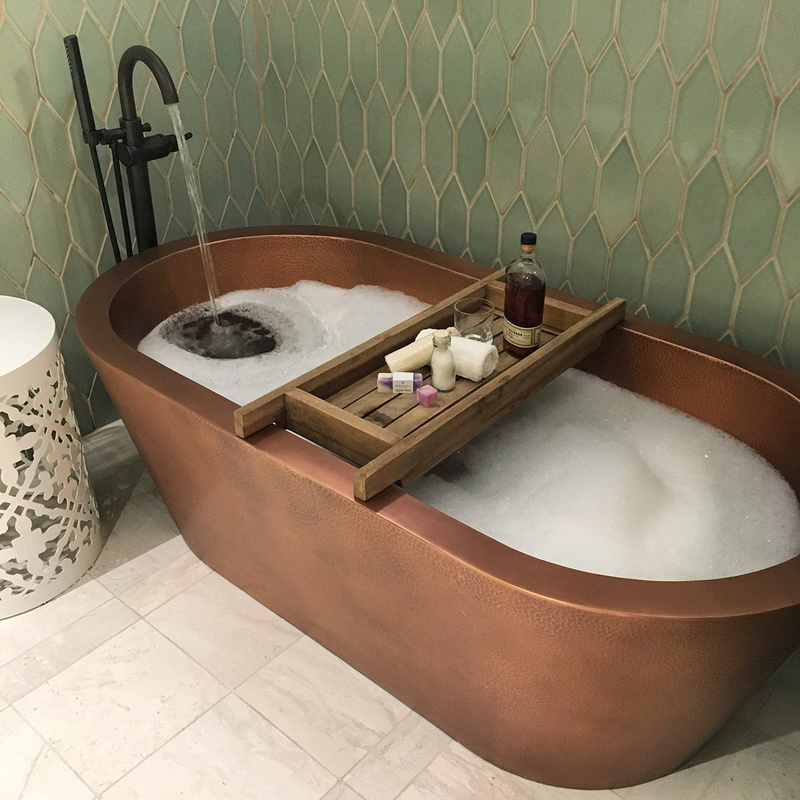 Of course we had to try out the large copper tub! 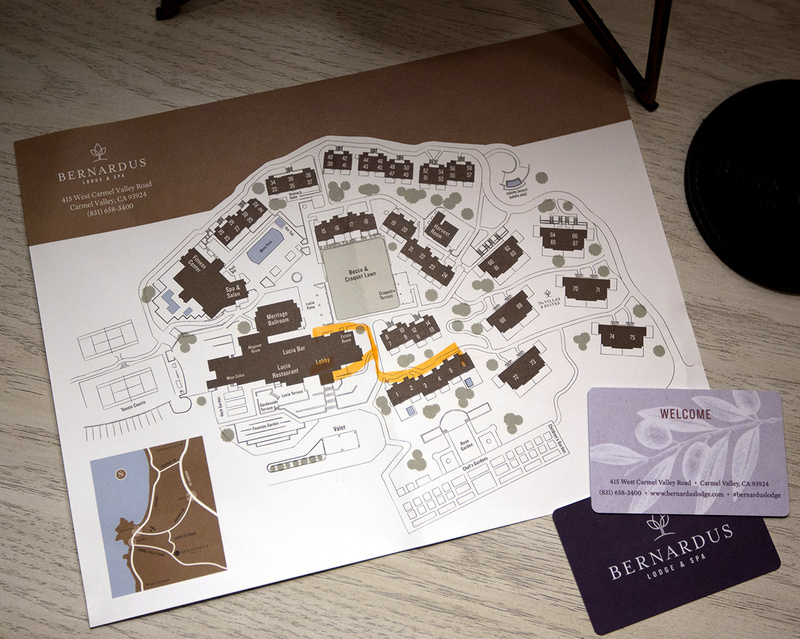 A peek at the Bernardus Lodge & Spa property map. It’s a quaint resort nestled into the valley. Strangely our check in (and most interactions with reception) were rather awkward. As you can see from the map - they highlighted the map sending us to a standard smaller room (6) - but our keys were for the suite we booked (60) - luckily our friends ran into us and led us straight to the right room before added confusion! It was also a strangely rushed introduction/check in, she spent more time emphasizing tipping for services than introducing us to the property. As a side note, while we’re on service and awkwardness that just stuck in my mind… the valets, bellboys, and people who delivered food, ice, etc, were SO kind, intelligent, and helpful! 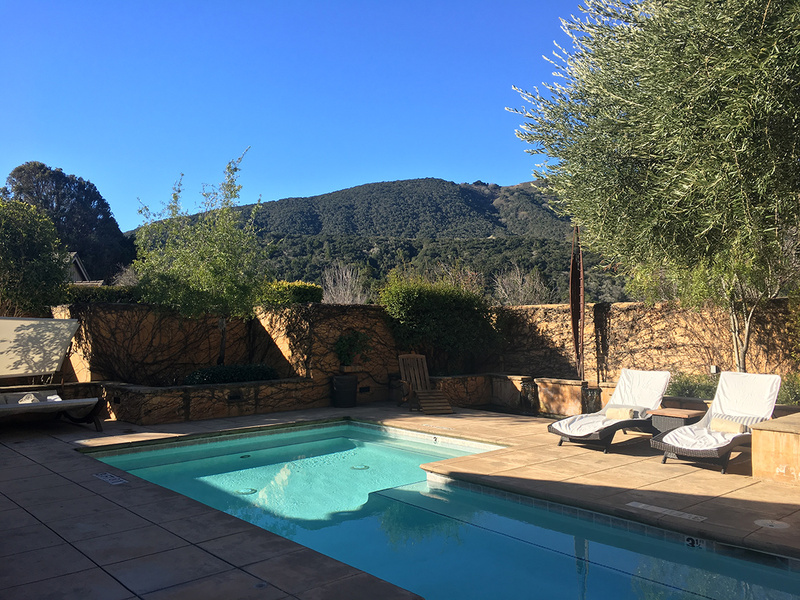 We had difficulty with reception a few times - including asking for the best way to get into Carmel for dinner without driving since we’d had a few drinks already and it’s quite a half hour of dark winding roads each way! Yet the front desk kept saying that driving ourselves was our first option (don’t worry - you can totally get an Uber into town like we ended up doing! But were they really pro-drinking and driving?) Upon check out, i had yet another awkward conversation about whether i’ve ever been to “the city” (while it was clear from our paperwork that we live in LA, and i had mentioned having lived in SF)… it was all very odd. Perhaps their normal clientele isn’t from a city? or tends to be international? 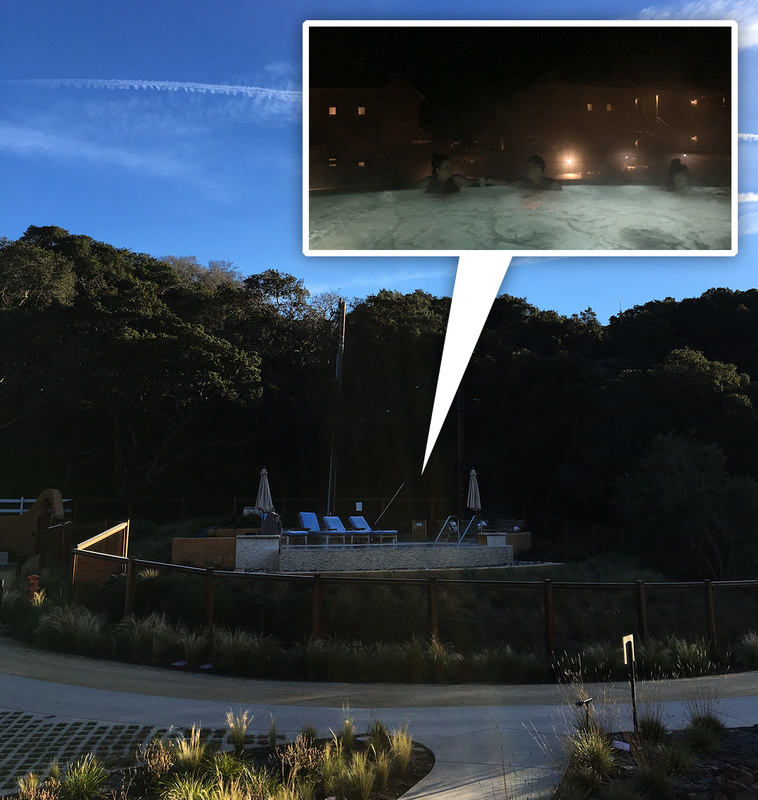 Though most other guests we met seemed somewhat local… Anyhow, apologies for griping, but these were just a few of the stranger, awkward, interactions we had that left a bad taste regarding the service side of the Bernardus Lodge & Spa, so it’s just more of a heads up to manage expectations if you visit! 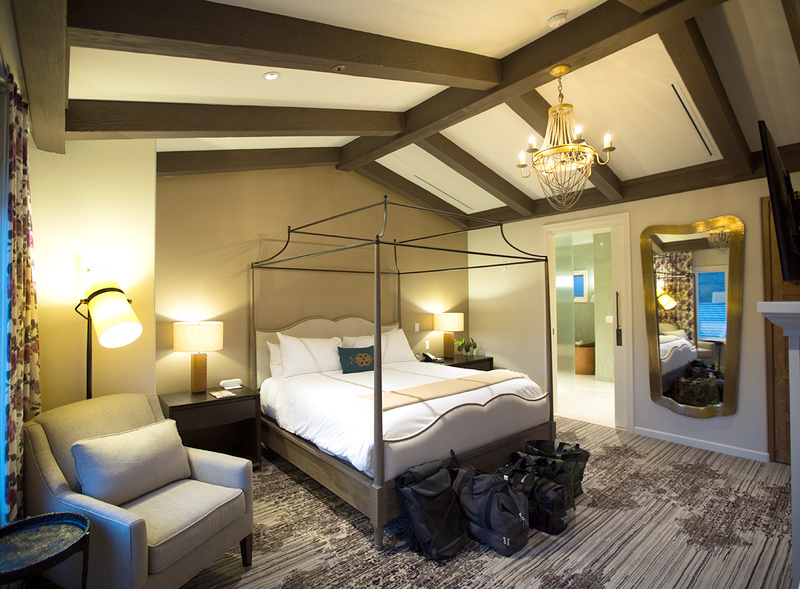 Or maybe i had unexpectedly high expectations for how many luxury hotel lists i found them on? But back to prettier things - view from the patio in the morning! Looking down - those are the other freestanding villas amongst the vineyard. Much like the service, the visual aesthetic is less luxurious on the outside than it is on the inside! 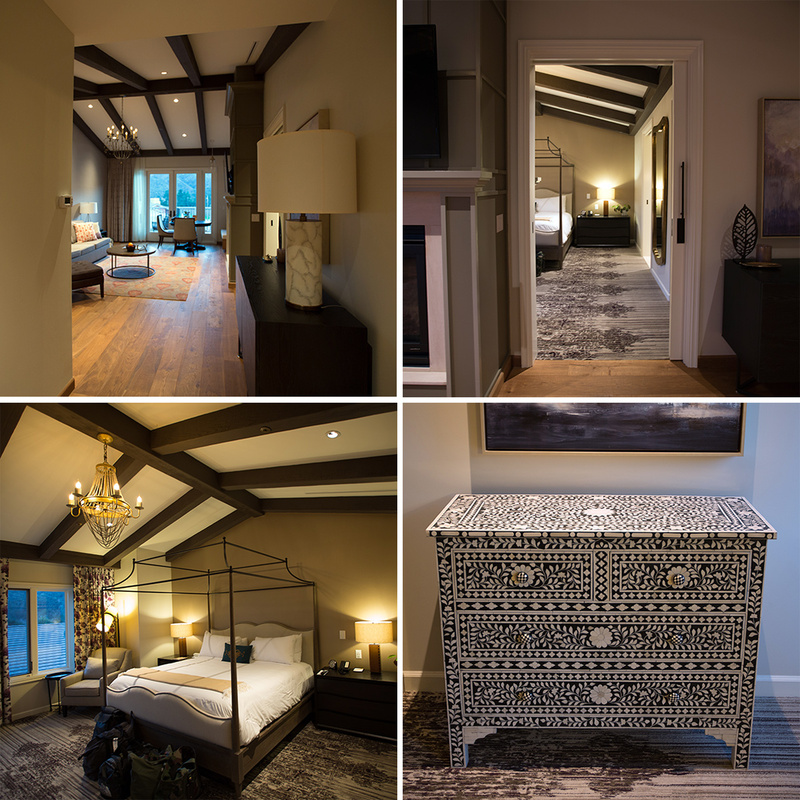 Our building was basically a two story version of those - would you ever guess those stunning suites are hidden inside there? 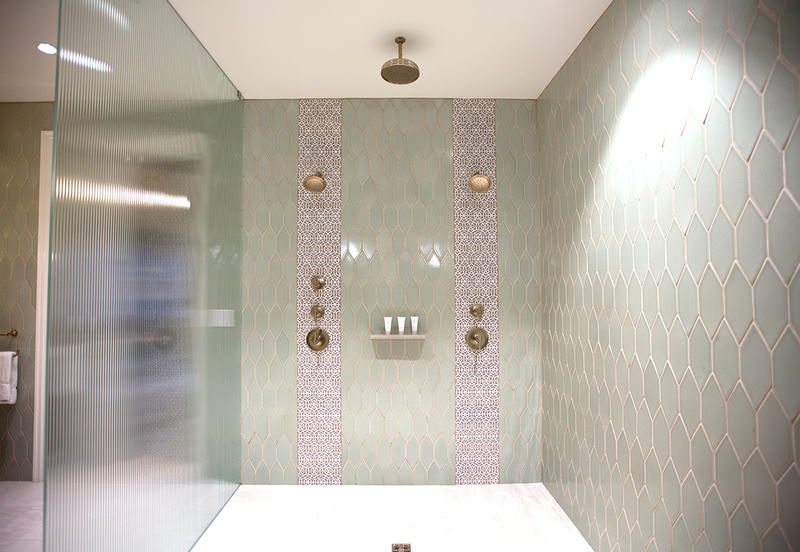 Inside the spa, you can visit this tranquil 100 degree pool! 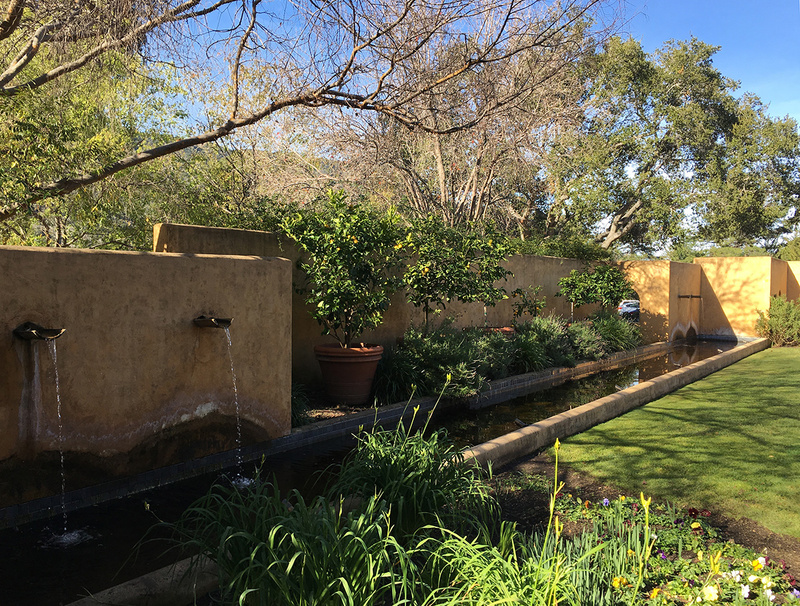 Wandering the gardens… being wintry, this was the prettiest spot! 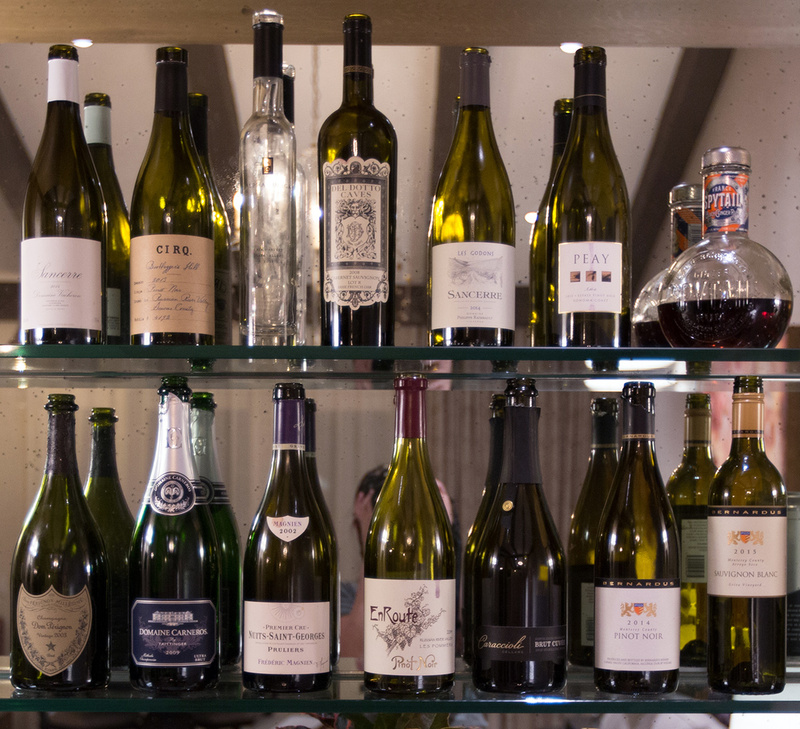 But we imagine the rose garden, chef’s garden, and vineyards must be beautiful in spring/summer! 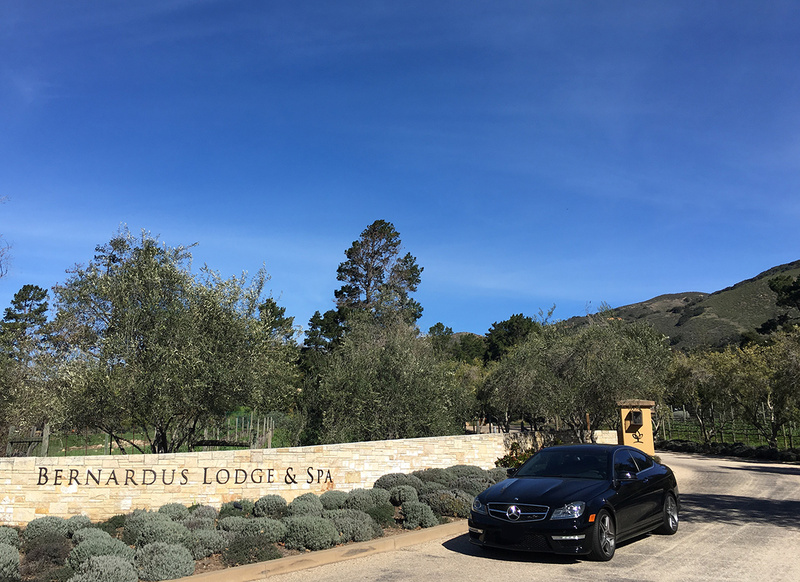 While at the Bernardus Lodge & Spa, you can also borrow one of their two SL convertibles or two GL SUVs for 4 hours as part of the Mercedes Benz Drive Program. 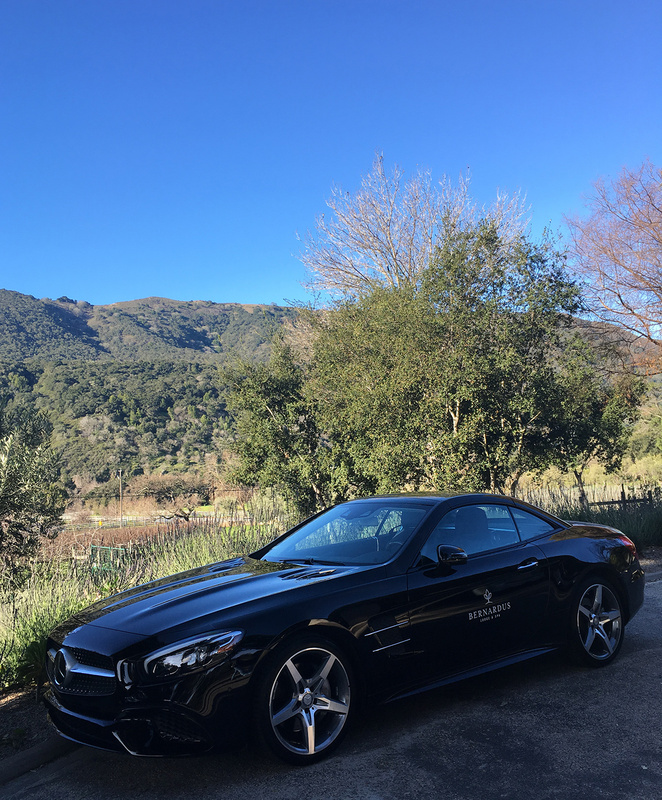 As a group of 4, the GL was perfect for us to pop out to Big Sur for lunch and back! STARS!!!!! 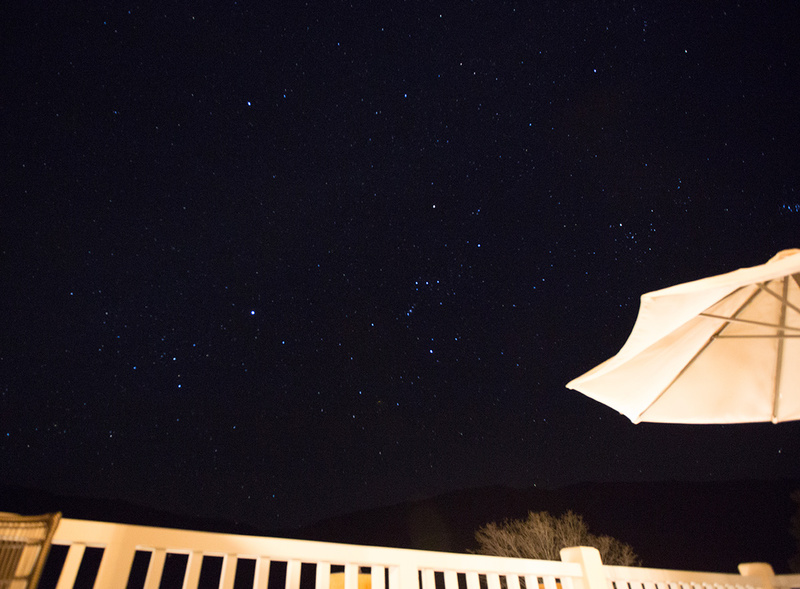 Such clear nights to star gaze from the patio! 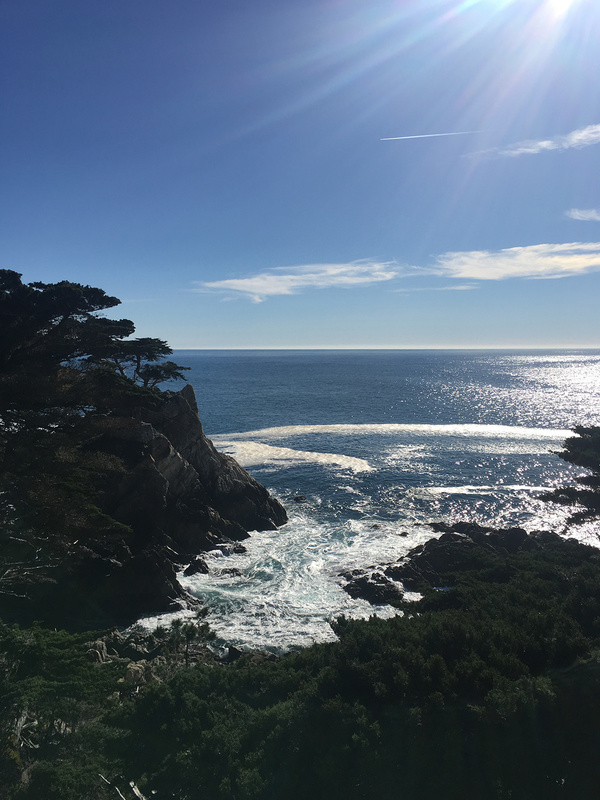 A peek at the views in Carmel… how can you not relax cruising along this stunning coast?